Every state geologic stone map presents its own challenges. Arizona has 352 pieces, Nebraska’s elevation changes radically from east to west, and Montana has yogos. Yogo sapphires from central Montana are the most important gem stones in North America according to the US Geological Survey. 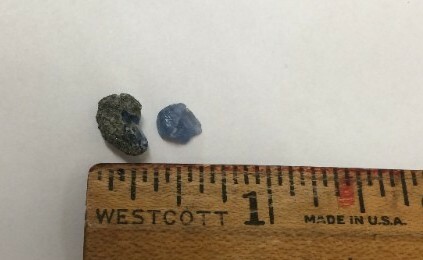 Their beautiful blue color is untreated which is unique for sapphires. However, they are very tiny, and tiny can disappear in a large busy geologic map. 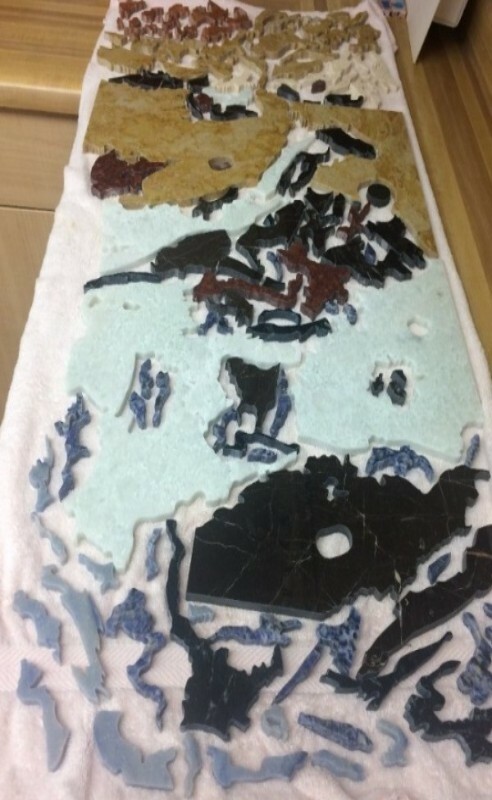 So we decided to give them a special spot by inserting them into a neutral stone which was then inlaid into its location in the middle of the state. Thanks to Montana Gem, Inc for helping us find raw yogos and yogos in matrix! Montana is the Treasure State and in addition to yogos, we were able to find some exceptional specimens including cleavlandite from near Lake Delmore, platinum ore from the Stillwater Mine, and a Montana agate from the Yellowstone River. 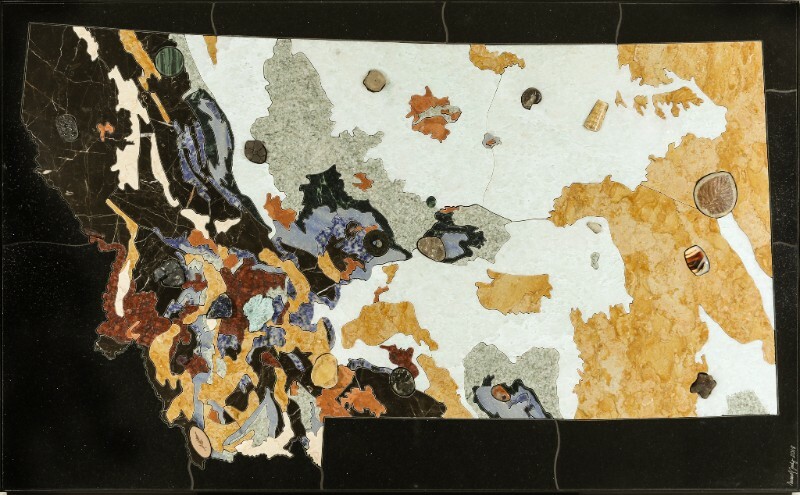 The completed Montana map has 179 pieces, and 21 specimens, two of which were collected by the geologist who commissioned this piece. 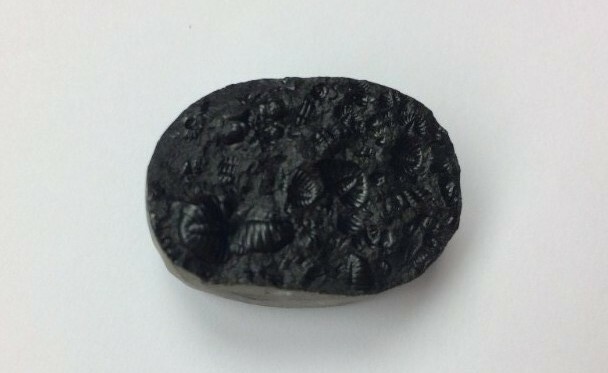 Cambrian trilobites from the Libby Trough are hard to come by, but he had collected some which we cut and inlaid. The western third of Montana has very complicated geology and so it was quite a challenge to simplify. The official Montana geologic map has approximately 591 polygons, many of which are too small to cut in stone. (Cutting 1/8 inch diameter polygons in paper is one thing, but stone is quite another!) Therefore, a large portion of my time is spent combining and/or deleting polygons until I arrive at a reasonable size range for cutting. Thatâ€™s the job I call lump it or leave it. 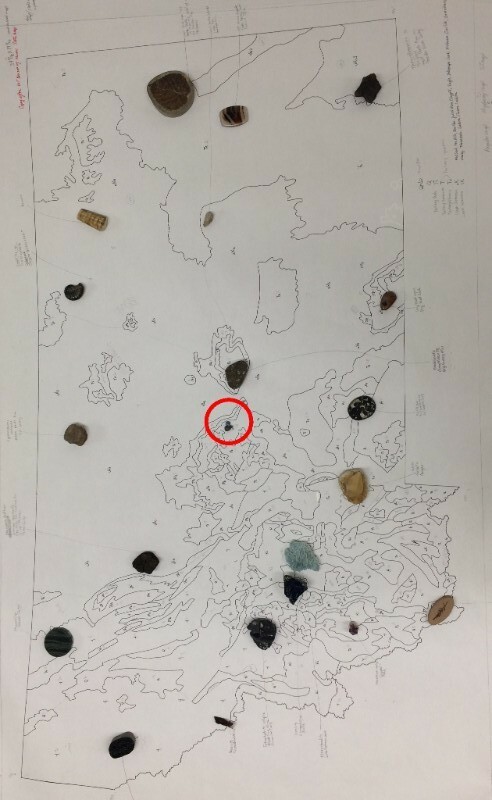 Below are some pictures of the Montana geologic map: the completed map (37.5 x 23 inches), tiny raw yogos, Libby Trough trilobites, final simplified geologic map with yogo location circled, and 179 cut pieces ready to put in place. Tomorrow is the opening of the Foothills Art Center Members Show. My piece, Pocket 8: Stilbite Sanctuary-Surprise in the Depths will be on display along with work of 72 other member artists. This annual juried show has grown and will be in the East Gallery for the first time. The show runs from January 19th through April 22nd. Please drop by if you have an opportunity. I am also being featured in a show at the Loveland Museum Gallery. Seventeen artists from the Colorado Mosaic Artists were chosen for the exhibition, “Earth, Air, Fire, Water.” My piece, “As Above, So Below,” will be seen in the Green Room Gallery from January 20th through May 13th. The opening reception is Friday, February 9th from 6-8pm. If you are in the area, please come by! The biggest rock and gem show in the world will soon open in Tucson, Arizona! I am excited to be doing some shopping for several days before the show opens – there are always new treasures to behold! Then I’ll be selling my art during the main show February 8th through 11th. We have been exhibiting in Tucson since 2004 and it is always an amazing and inspiring experience. This year we will be at the Tucson Convention Center, booth 1702-1706. Hope to see you there!